Give your customers a more memorable receipt! Fortune Cookie makes your customers' purchase experience more memorable! With Fortune Cookie your business will be able to take advantage of the psychological phenomenon of Classical Conditioning: Your customers will associate your business with the positive experiences of learning their fortune, feeling informed, and sharing their fortune with others. Beyond a customer's own thoughts, this can result in conversations about your business and social media mentions that would not have otherwise occurred. 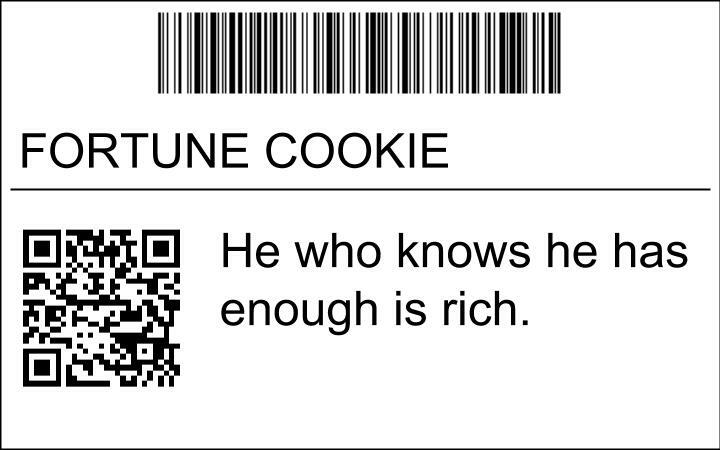 Your business will be associated with fun fortunes in your customers' minds long after they make their purchase. I just got a great fortune that you should use! Let us know! We will most likely use it! Let us know! We are willing to make adjustments, however if there is a fortune you do not want to have on your receipts the quickest fix is to uninstall the app.